Healthy Traditions recently announced the launch of their new product, raw Apple Cider Vinegar with "mother." Starting the last part of 2014, Healthy Traditions, a division of Tropical Traditions, Inc., has started testing all of its products for the presence of the herbicide glyphosate, since many of their USDA certified organic products were tested to be contaminated with glyphosate. Finding a supplier of Apple Cider Vinegar that could be tested and traced all the way back to the producer proved difficult, as many apple cider vinegars are produced with apples from many different orchards, meaning that a single batch test may not represent all bottles used in each batch. So they began to search for a single source orchard to produce their own apple cider vinegar. 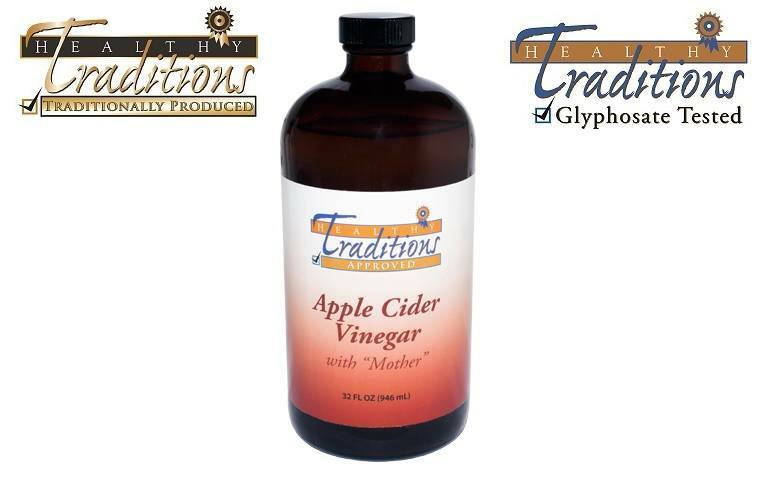 The Healthy Traditions Apple Cider Vinegar is made by hand on a small family farm in Wisconsin. This high quality and great tasting vinegar starts by hand picking a mixture of apples that are suited perfectly for cider, imparting a depth of flavors to the vinegar that are unique. The apples are grown in Wisconsin on a certified organic orchard that practices sustainable agriculture by using livestock to maintain the orchard floor. By rotating different animals in the orchard the caretakers are able to reduce weeds and insects that would hinder the apple production.